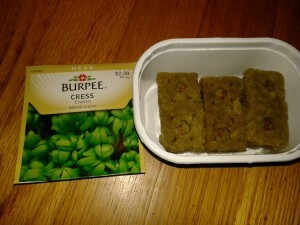 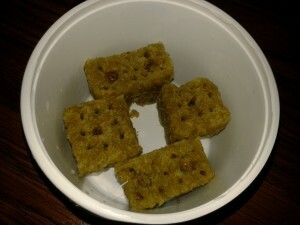 Planted 2 purchased rockwool cubes of Burpee sweet basil. Placed in the Tower Garden. 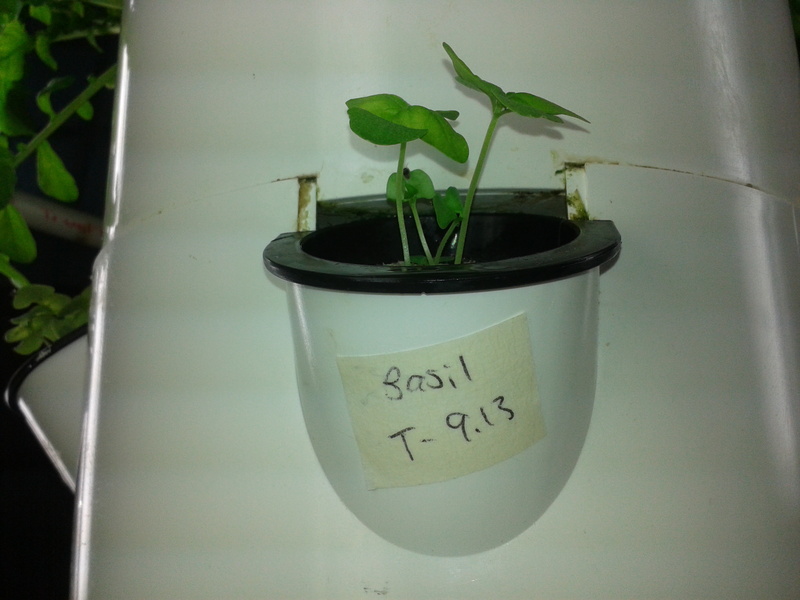 The sweet basil grew well. 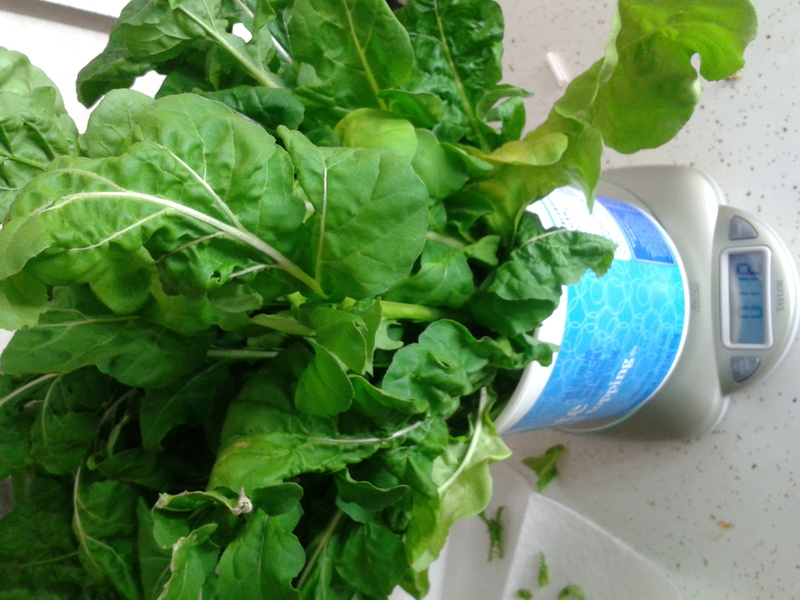 I harvested twice. 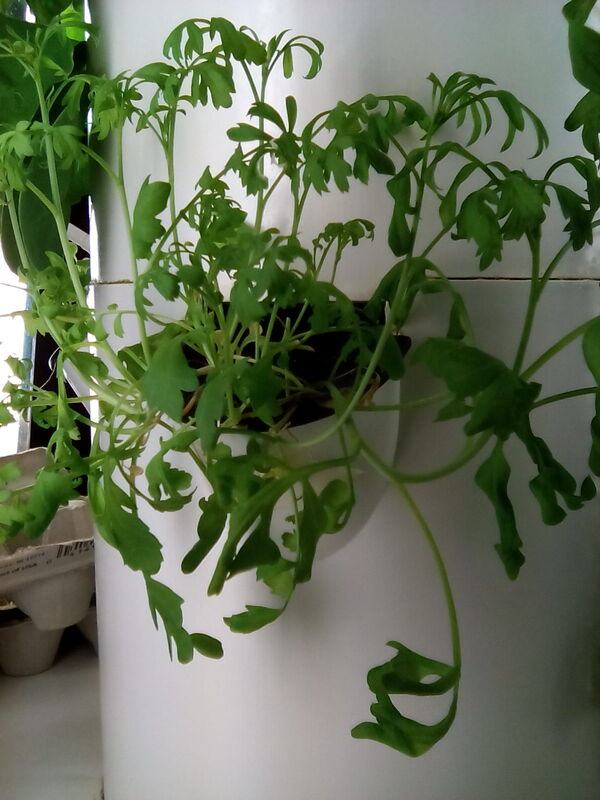 Leaves were very large. 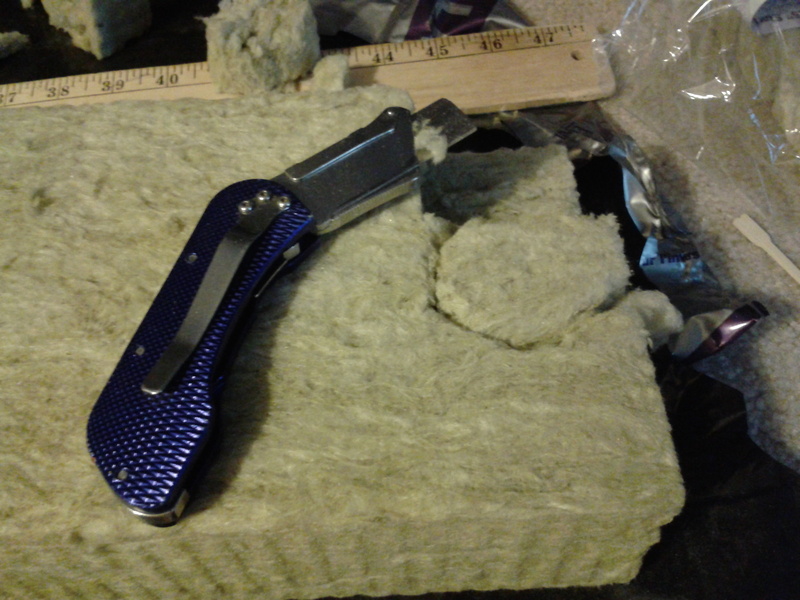 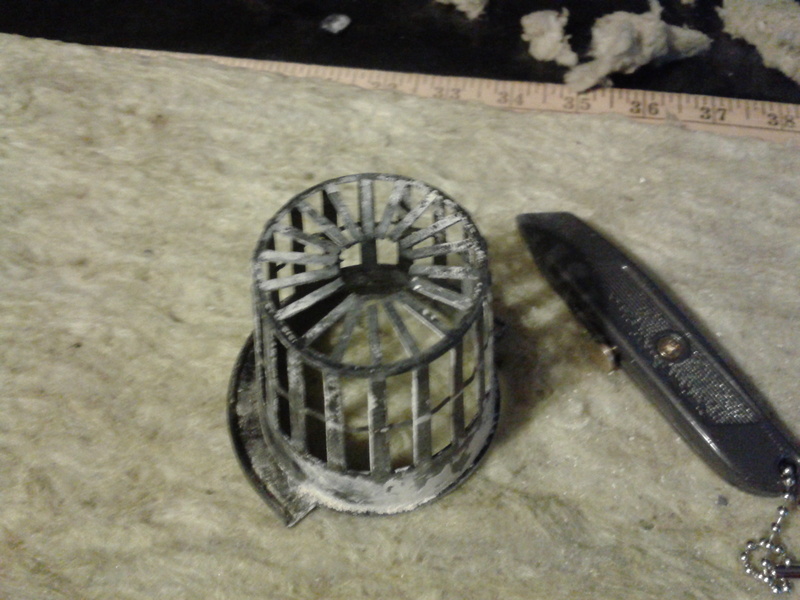 Used a new, very clean blade to cut out the rockwool the size of a net pot. 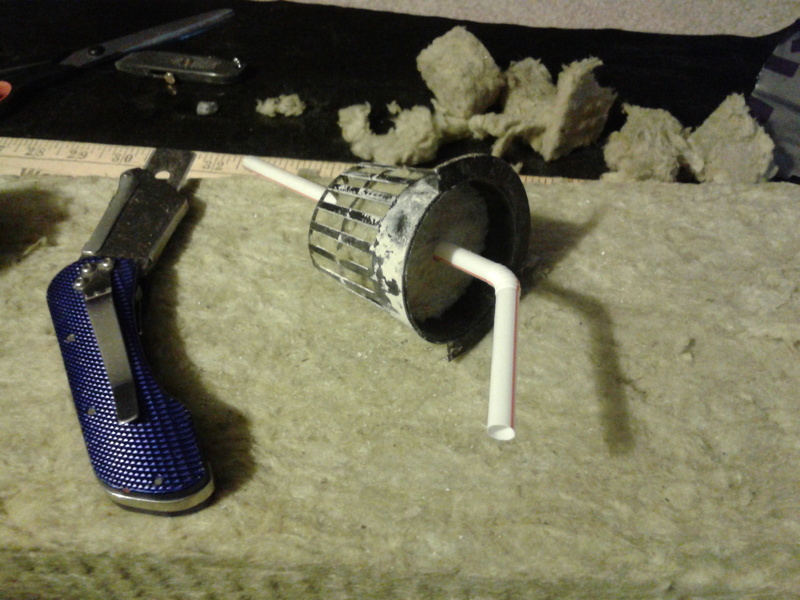 Thanks to Joe of Level2 Concepts for the straw idea. 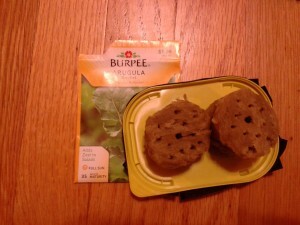 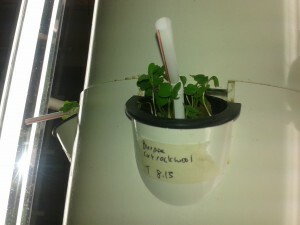 I poked about 13 holes in each rockwool and planted 2 Burpee arugula seeds in each hole. 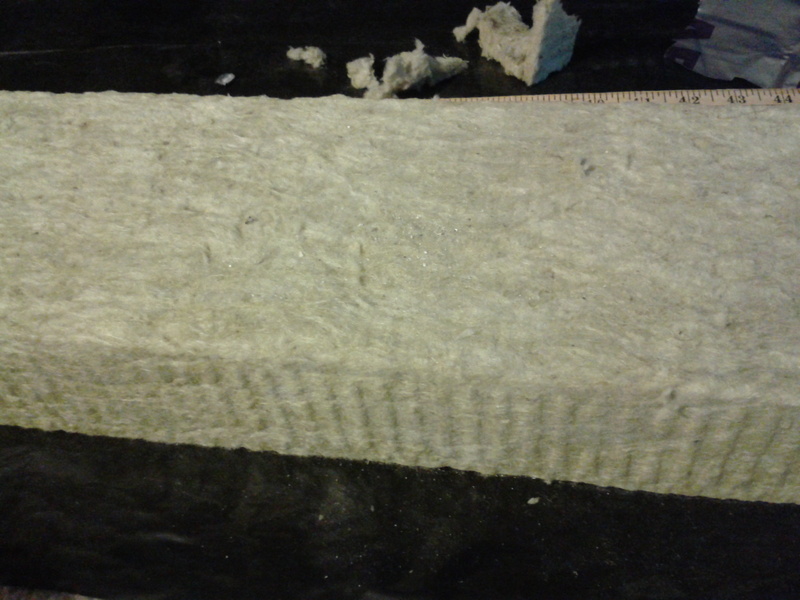 I’m going to experiment more with cutting my own rockwool, but on a shorter time-frame to better compare. Burpee arugula seeds seemed to produce a higher yield than Ferry Morse, Slicing the bottom of the rockwool seemed to help as well. 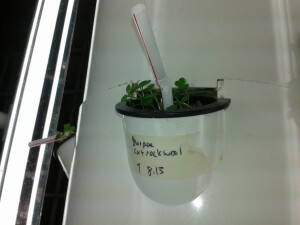 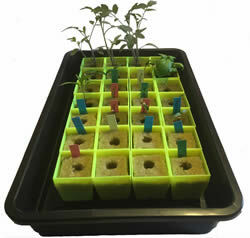 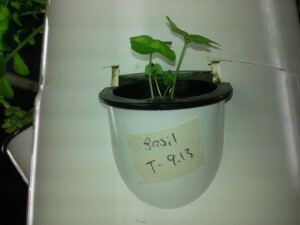 Letting 8 plants grow in one rockwool also produced a higher yield. 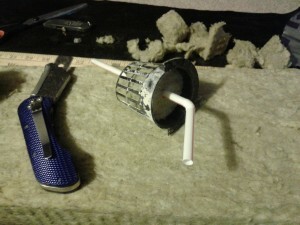 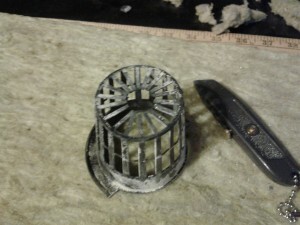 I sliced the bottom of the rockwool, poked 8 holes around the center hole and put 5 or 6 seeds in each hole. Two rockwool cubes are the normal size. 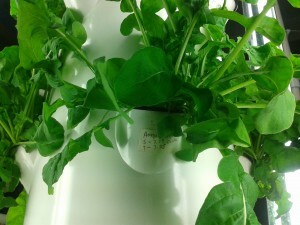 Two are the quarter size doubled left over from this experiment. 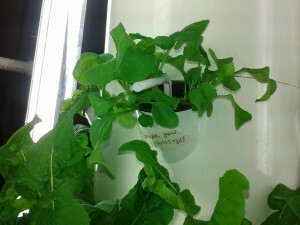 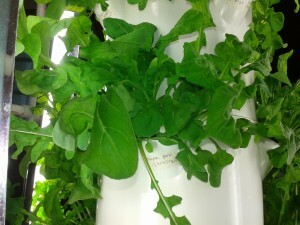 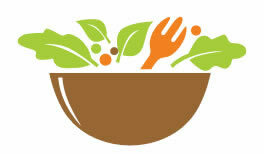 The arugula planted in the full rockwool cube is larger than the 1/4 size doubled. 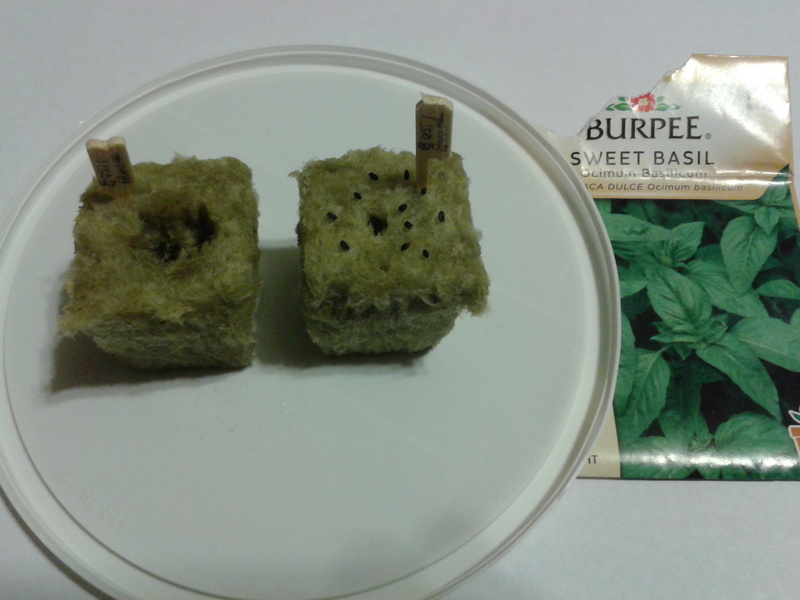 I picked up some Burpee Cress (Berro Cresso) to try. The packet says days to harvest is between 15-35 days. 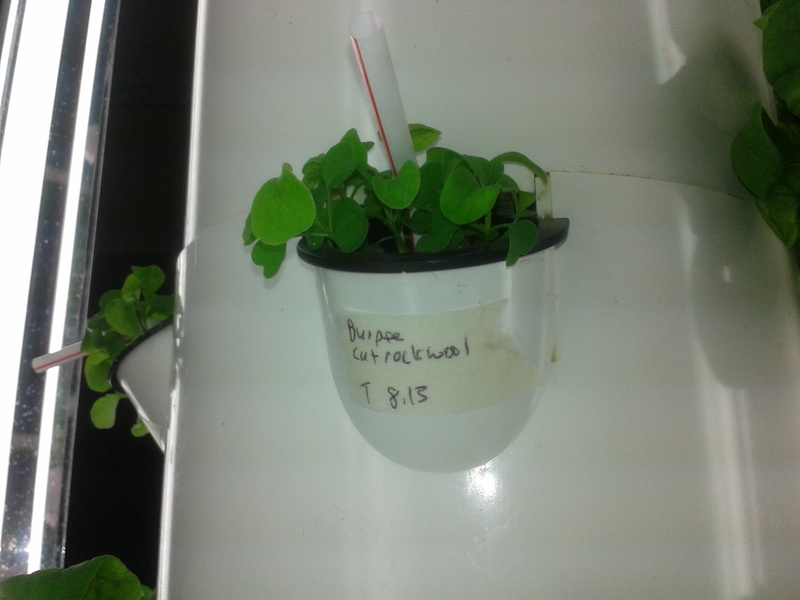 I used this seed starting procedure, but poked extra holes in the rockwool like I’ve done with the arugula. The seeds germinated in about 24 hours and are looking healthy. 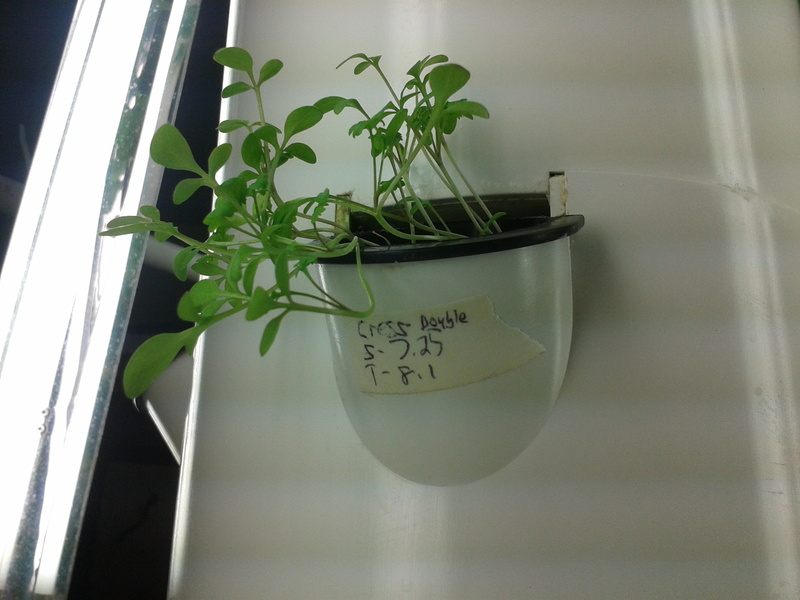 The seeds were planted July 22, 2015. 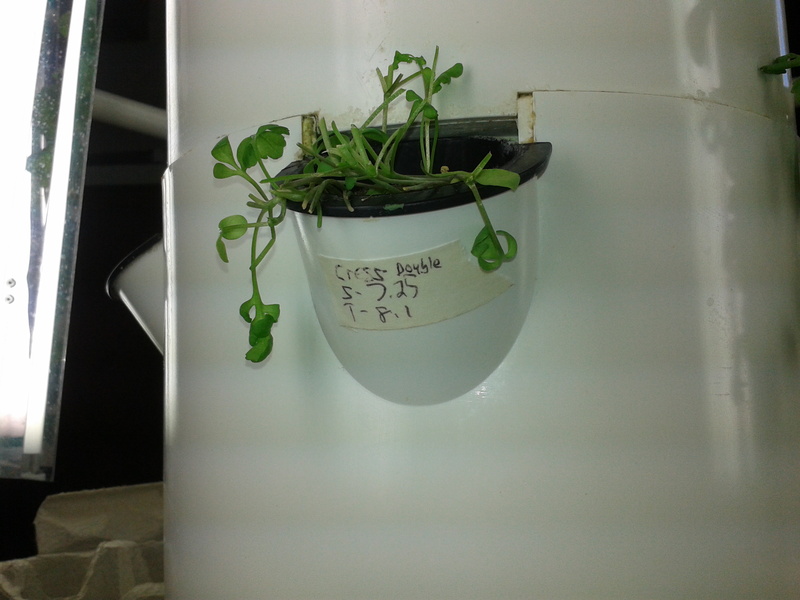 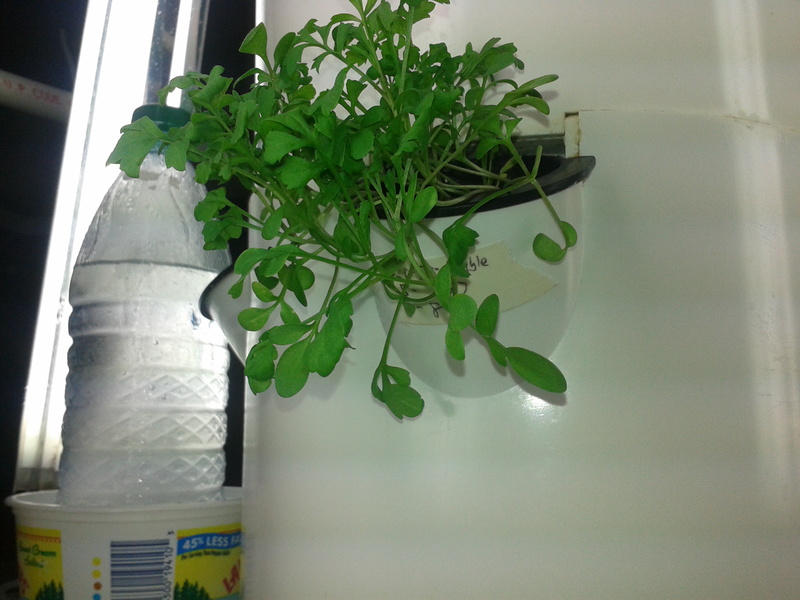 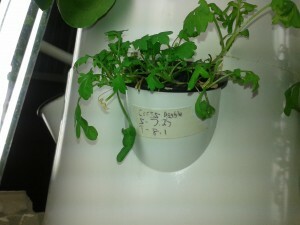 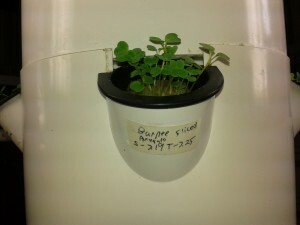 The cress is growing, but has more stem than leaves. Cut cress. 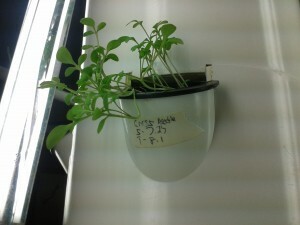 I’m going to see if it grows back. 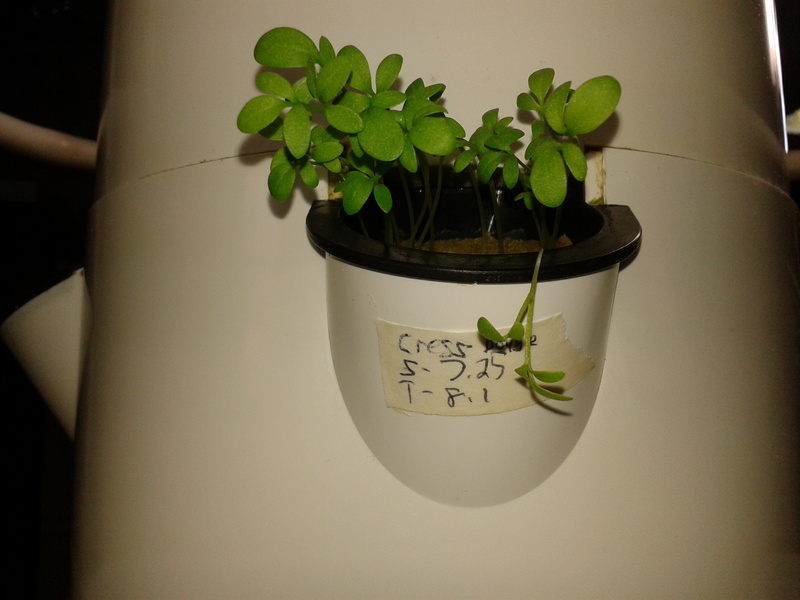 The cress has grown back and could be harvested again. 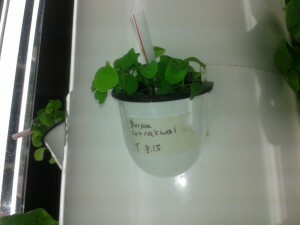 I’m going to close off this experiment and call it a success. I dug a hole out of the center of the rockwool and planted about 20 seeds. After 32 days in the Tower Garden, this arugula bunch weighed 2 1/8 ounces. 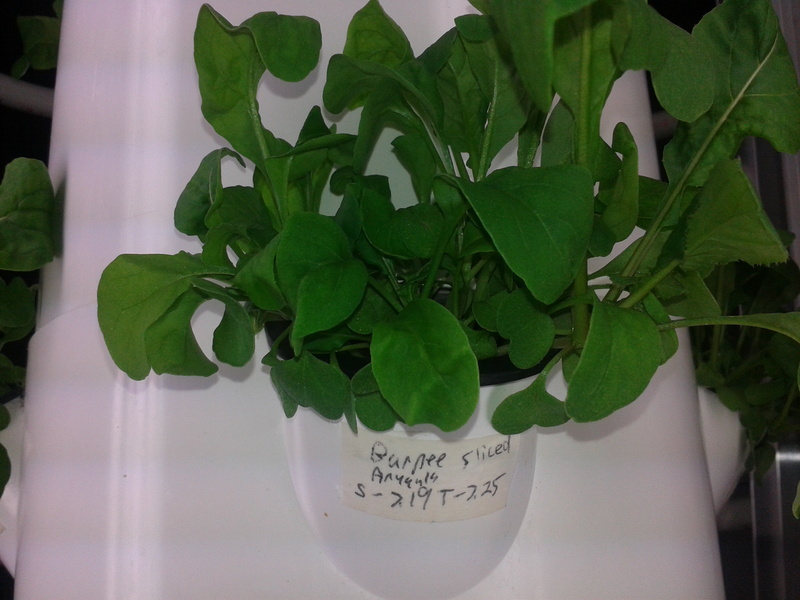 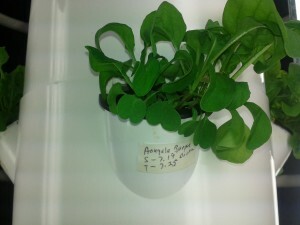 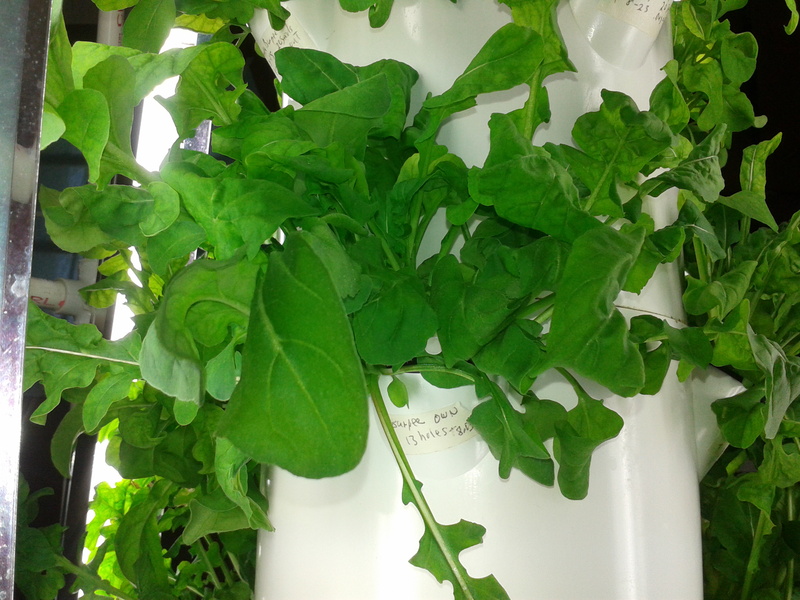 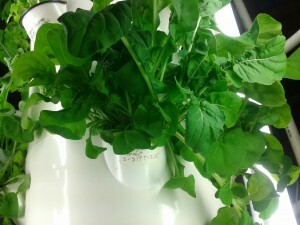 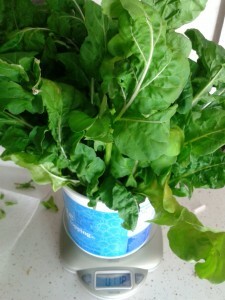 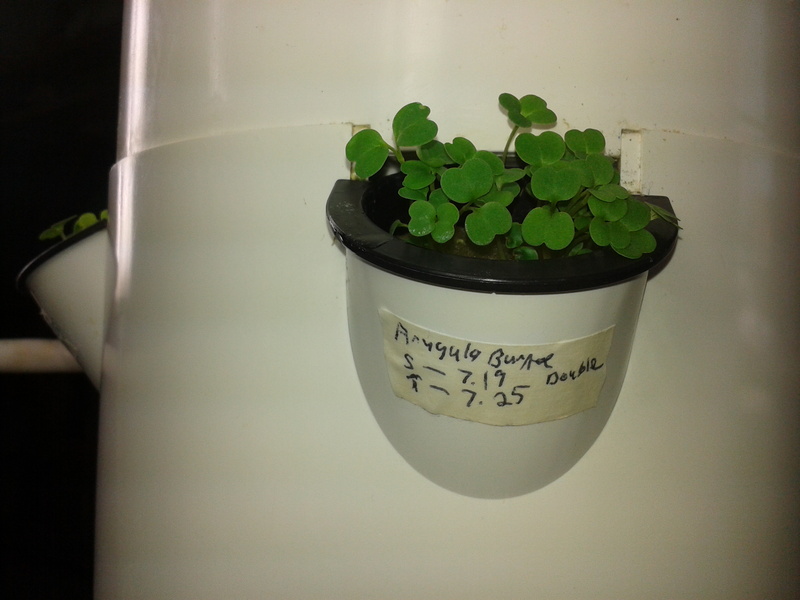 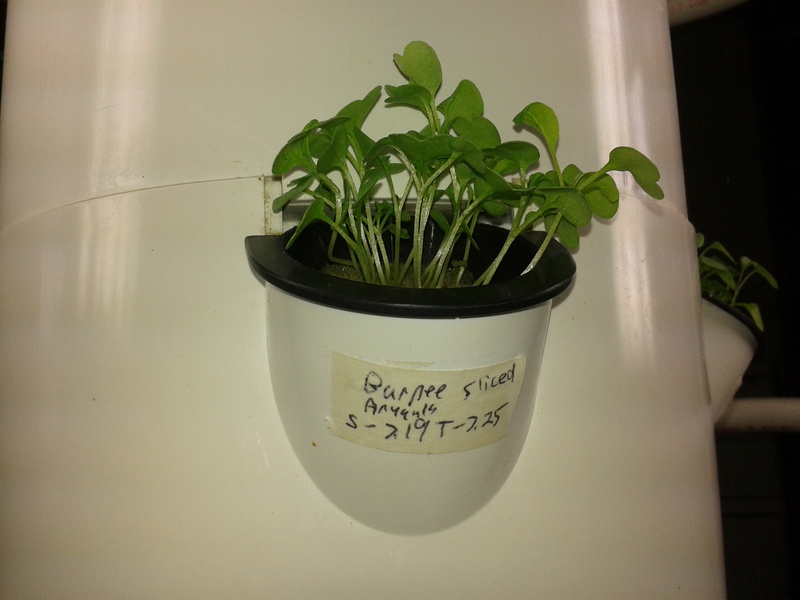 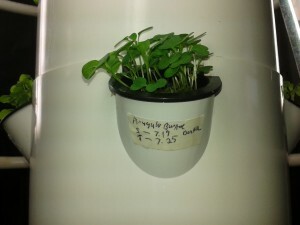 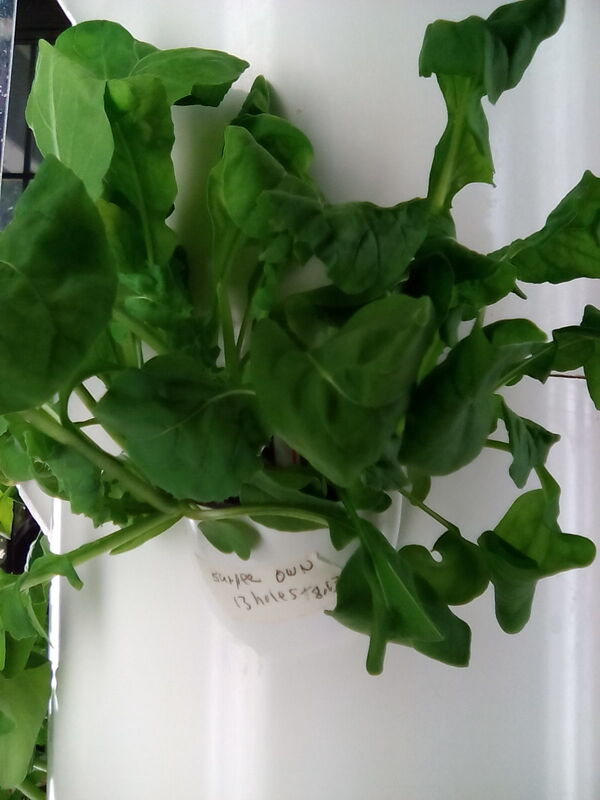 At 2 1/8 ounce, this arugula bunch is the largest yet after 32 days in the Tower Garden. If needed, I’ll thin the arugula seedlings to eliminate 1 seedling per hole. 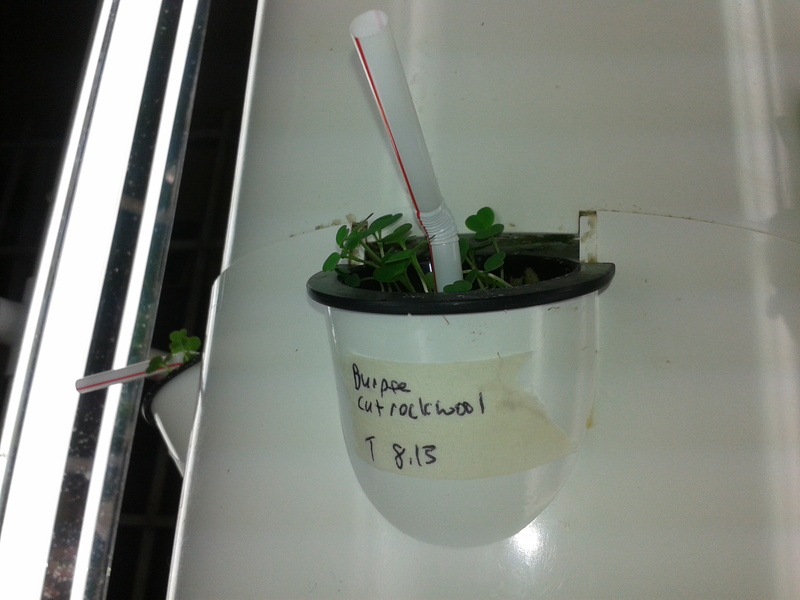 Example: Rockwool # 5 will end up with 5 seedlings per hole. August 12, 2015 – Harvest. The arugula with 4 and 5 seeds per hole did the best.